The YNOT Cam Awards Los Angeles gala is where every online model wants to be and where all the good online modeling work is recognized, along with the model's creativity, social media activity, ambition, and determination. 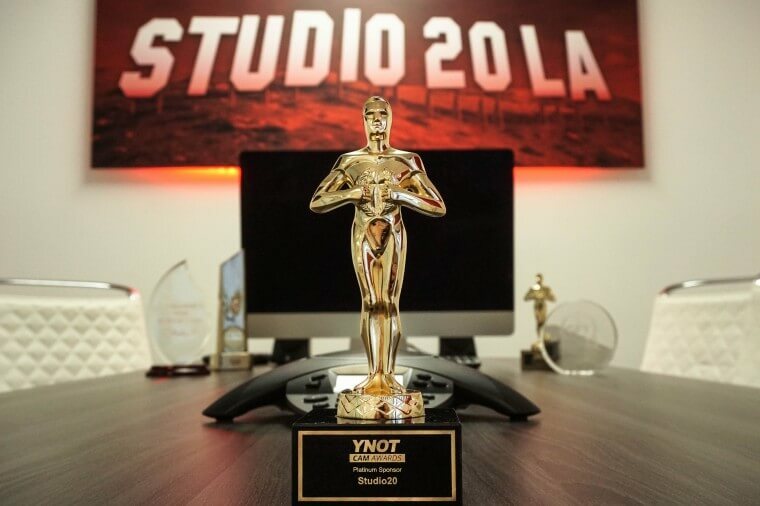 Studio 20 Los Angeles, established more than two years ago in Hollywood, LA, California, was represented by the beautiful #girlsfromstudio20, the famous Studio 20 brand. It's a well-known fact that the Studio 20 models prefer a luxurious and glamorous lifestyle, so there was no surprise when a white Studio 20 branded limousine stopped in front of the Avalon in Hollywood and 10 of the top online models from the LA studio descended. 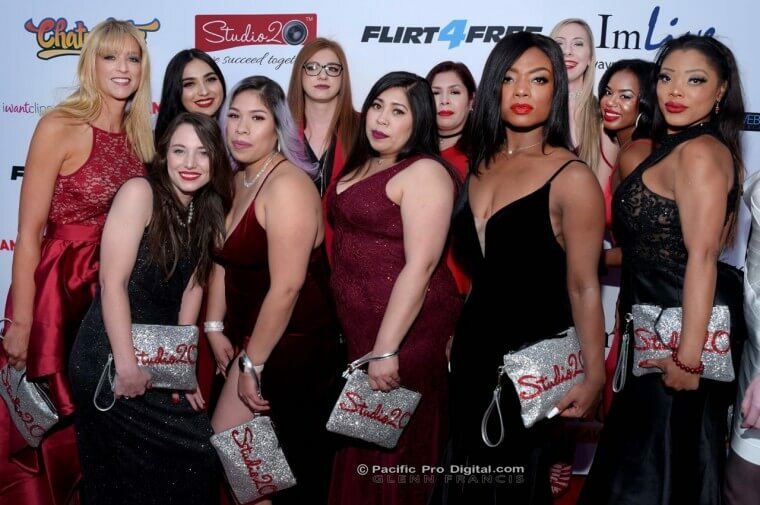 One after the other, the #girlsfromstudio20 walked on the red carpet in beautiful classic wardrobes, each wearing a Studio 20 custom clutch. “When you talk about the #girlsfromstudio20, you think about top glamour online models. Classic beauties. We wanted to bring a bit of the old Hollywood glam on the red carpet so we gave the girls original clutches, custom made in Italy. Studio 20 LA is one of our top studios and one of the 18 we've opened so far”, said the Studio 20 PR, Andra Chirnogeanu. Among the first trophies of the evening, Best Fetish Cam Star, was won by Kory Blu, the atypical fetish model from Studio 20 LA, that declared that this is the first time she feels goosebumps on the stage. “I did not expect to win, but I'm extremely happy and grateful for this award. Studio 20 LA was a big help in me discovering my path in the fetish world. I'm not the average mistress model and, by receiving this award, I also received recognition of my work and more confidence that only makes me reach higher”, said Kory. With impressive support from the crowd, Analise Yoel walked on the Avalon stage to receive the Best Emerging Cam Star (North America), being cheered by the entire ballroom. “For me, this award represents much more than my online modeling work recognition. It states the fact that I gained my independence, I became a strong woman, and the obstacles I surpassed so far helped me get where I am now. I can't wait for the next events in the industry and I'll do everything in my power to become a better online model”, declared Analise. The third trophy of the gala went to the world famous Studio 20 model, Devious Angel, that now is also the co-owner of Double D studio in Bucharest, alongside her colleague Raquelle Diva, another famous model in our team. “When I first entered this industry, 5 years ago, I did not think that my name would ever be famous in Romania, not to mention the US or Columbia. Our brand, #girlsfromstudio20, means community, unity, and diversity. It translates into independent women that work for themselves and enjoy everything life has to offer. We succeed together!”, said Devious Angel.